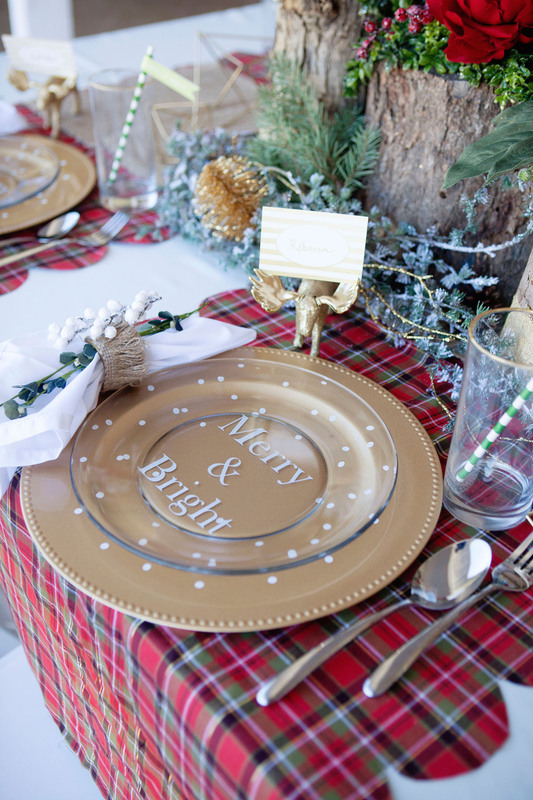 Here is another great detail of the Merry and Bright Holiday Party. 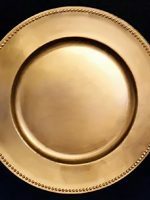 The question is…How do you dress up plain plates and gold chargers?! 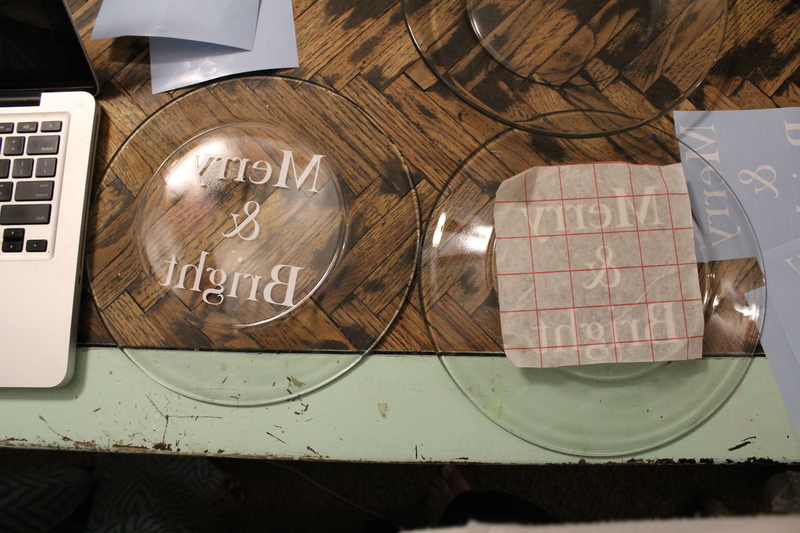 Did you know that you can make custom plates for a party that is affordable and very cute?! Well you can, and I want to tell you how I did it. I got Clear plates from Walmart that were $1 each and then went to my local Dollar Tree and I got the gold chargers. 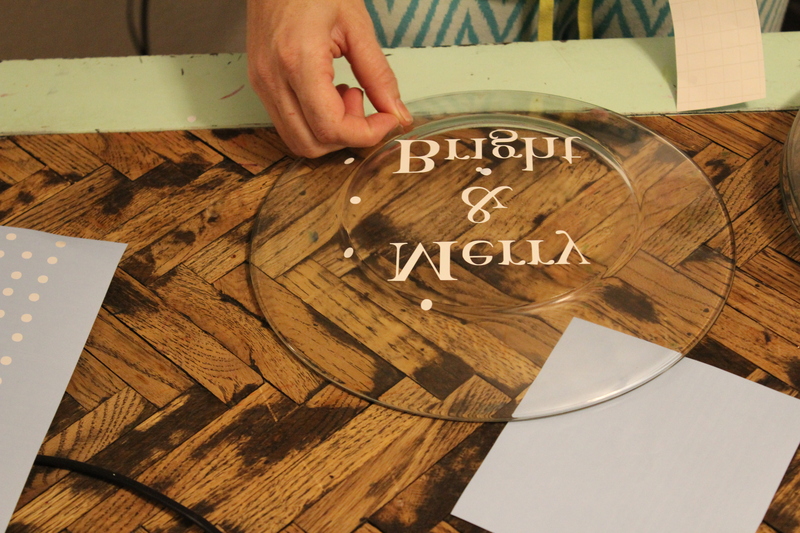 Then using my Silhouette Machine I Cut out “Merry and Bright” in white vinyl. 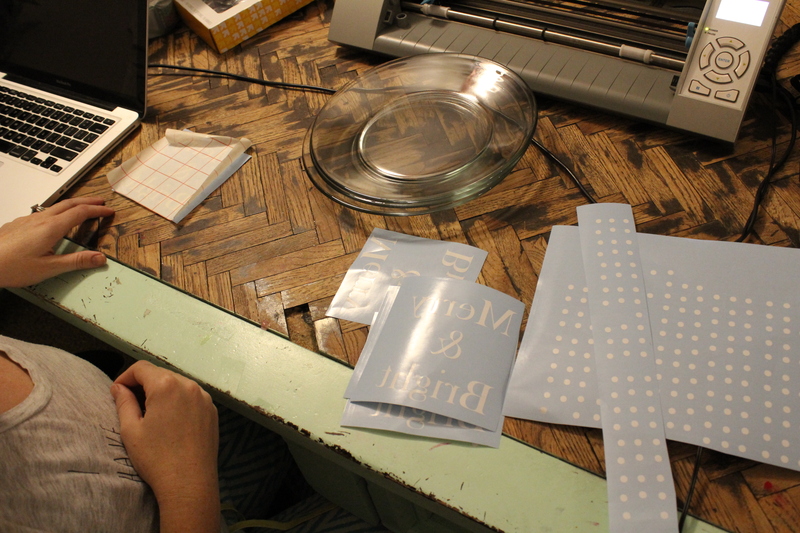 But don’t worry, if you don’t have this machine you can always order them of you can use lettered stickers. 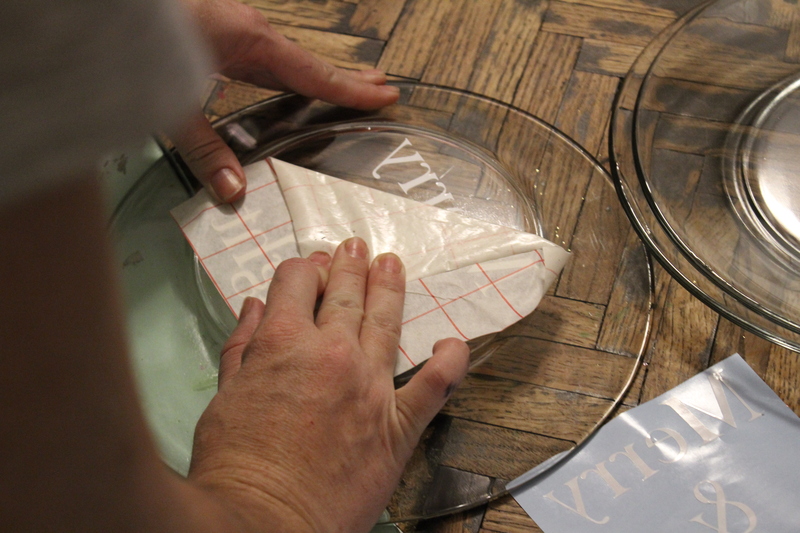 But I did want to point on that I placed these stickers onto the bottom of this plate and so that being said I cut out the letters after I mirrored the words to the left. If you have any questions about this please email me of ask me at the bottom of the post in the comment box. 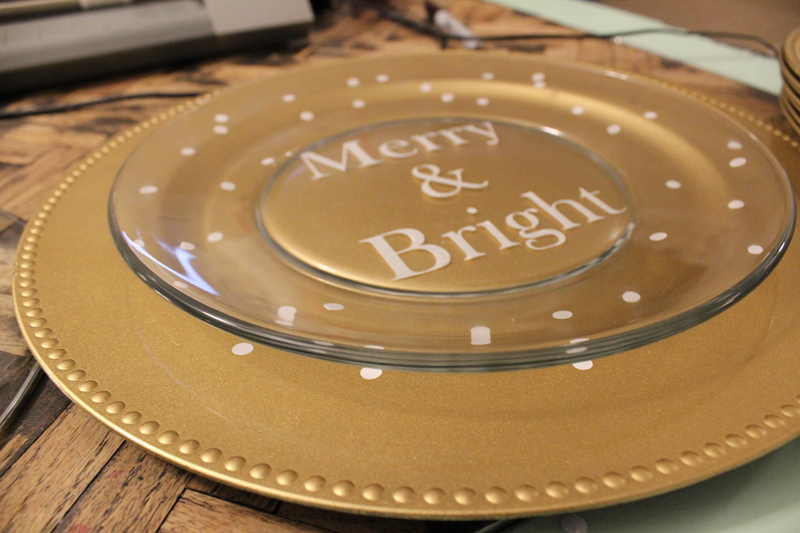 That was the hardest part and then I simply stuck the words onto the bottom of the plate then I added the cute white dots onto the bottom of the plate and also to the bottom of the gold charge. I love how it turned out because it makes the table setting look a little more 3-d and it adds a bit more texture then just stickers on the plate. I can image this being a very cute place setting for birthday, proms, mother’s day dinner, or any other kind of special dinner party. 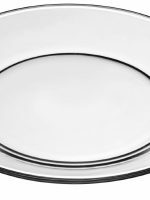 How do you feel about this idea to customize a place setting? Would you do it for a dinner party? Great idea.. inexpensive and looks fabulous! Thanks for sharing! Love this look! Do you have any info on how to make the darling centerpiece? A lovely table for Christmas! Thanks!